Sly Stone: both soulful and funky. Soul and funk - two genres that go together like bread and jam. Or a pie and a pint. That's what SampleRadar thinks, anyway, hence this collection of soulful sounds that simultaneously carry a serious amount of groove. The samples are split into five construction kits of different tempi (90, 100, 110, 112 and 120bpm). These contain drum, bass, guitar, Rhodes piano and organ loops. 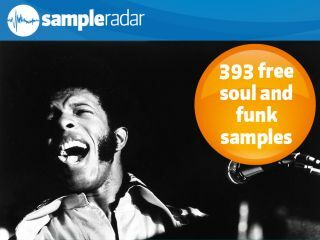 The soul and funk samples are supplied in a zip file, so you'll need to extract them before you can see them. Enjoy!